I’m off to Sunny California! At the end of last year I received some amazing news! 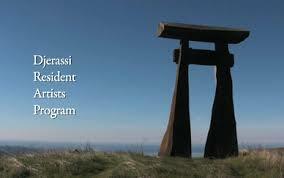 I’ve been offered a place on the Djerassi Resident Artists Program in USA. “YES. One of the pleasures of this job is saying YES to artists. You have been selected to be a resident artist at the Djerassi Resident Artists Program during the 2015 season. This is a remarkable achievement—867 artists applied for 66 residencies. This will be such a wonderful opportunity to focus completely on a new play, tentatively titled ‘Subversive’ – but more of that another time. Needless to say, this play continues my fascination/obession with science in theatre and in society. I only know that the last residency I held at the Cummins Theatre in Merredin was amazing! I truly appreciated the space and time to just write – it’s so wonderful to immerse oneself in the world of a play, and hopefully this immersion is realised through the play text as well. Anyway – back to my research of ‘Subversive’!